I wanted to read this book when it was first published and now that the film version is going to be in theatres this fall, I wasn't sure how I would manage to find time to read it before the movie comes out. Then, I remembered that Amazon has Audiobooks and discovered this gem! 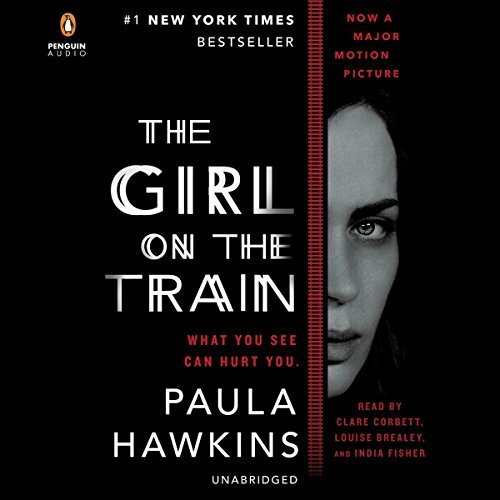 Since I'm in the car quite a bit, I've been listening to the British accents from the voices of the three women whose stories are told in this thriller. I'm not even halfway through (the audio version is over 10 hours) but I find myself wanting to sit in the car and keep listening as the story gets more intense. The timeline moves in different directions as do the characters who tell their stories and as secrets are revealed and lies are told, I'm captivated by the women involved. It's amazing that the story will somehow be boiled down to two hours for the big screen, but I'm already anticipating this one since I know how the story goes, I'll definitely want to see how they pull it off on film. I read the book before the movie comes out too.